Something I've been thinking about a lot is how I could eat less bacon. Since I gave up keeping kosher I've probably single-handedly kept Applegate Farms in business some weeks. 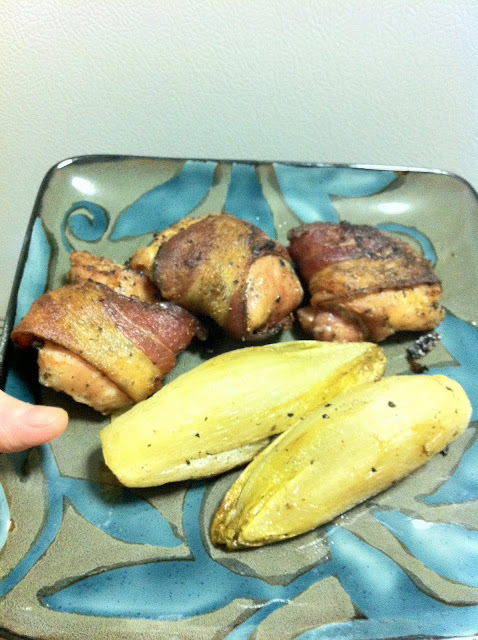 I've been fairly good about that this week, but have been thinking about these bacon wrapped chicken thighs for quite some time. Now, presentation-wise I wasn't really thinking here. The final dish was face-punchingly good, but probably could have used some more panache. Maybe a little basting for the thighs and perhaps some creative cutting up of the endive with some garnish. But I mentioned it was very tasty, right? 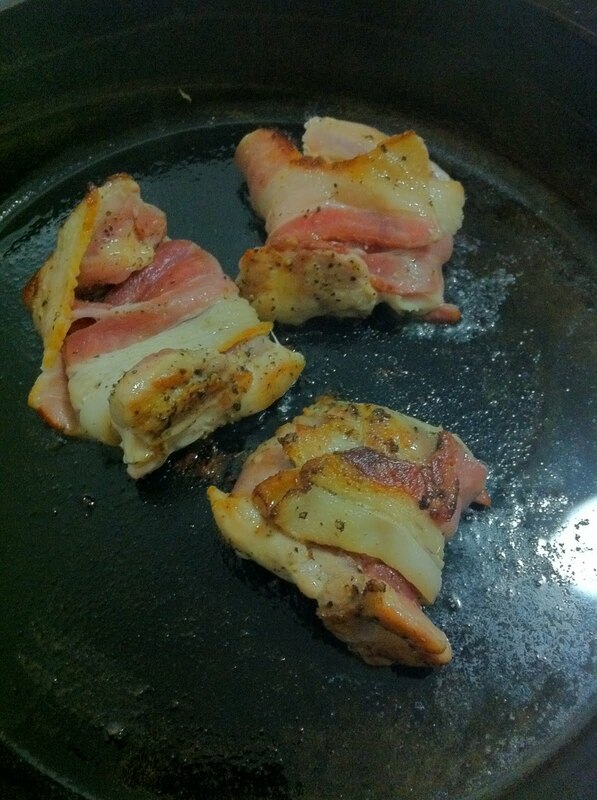 For the chicken I simply seasoned with salt, pepper, and thyme, then wrapped in bacon. Pre-heat the oven to 400. While it's heating up sear the thighs over medium high heat on both sides for about three minutes each side. Then place in the oven for approximately 20 minutes. The endives I simply braised in butter. 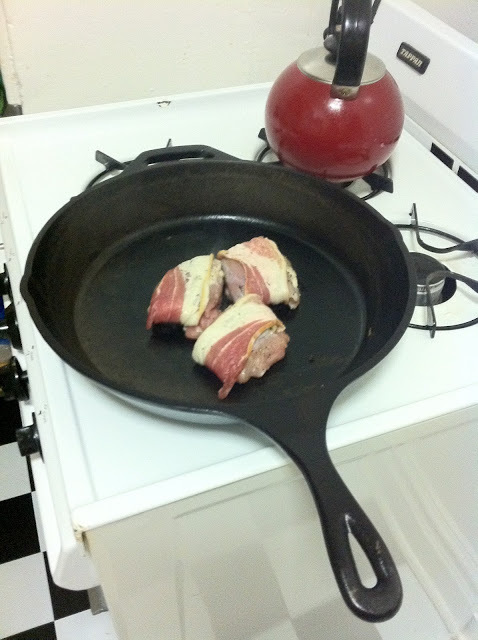 Cooking in my trusty skillet. Oh laws yes the tasty bacon fat. As you can see the final product looks bit barren (and poorly shot), but the bacon did not overpower the taste of the thighs and the endive was buttery goodness. Your soundtrack for this entry: Zedd - The Legend of Zelda (Original Mix).